This spring and summer we’ve partnered with churches and non-profits to create urban farms on both sides of the Anacostia River. Working in partnership with the University of the District of Columbia’s College of Agriculture, Urban Sustainability and Environmental Sciences we have built over 100 raised beds and two fruit orchards to date. These “Bridge Park Plots” are a wonderful way to pilot future urban agriculture incorporated into the 11th Street Bridge Park design – an idea that came from local residents. We would like to thank The Kresge Foundation for supporting this work. As we begin to harvest crops planted earlier this year, I thought I’d share some lessons learned. When we began this work, each of the Bridge Park Plots had a similar scope – partner with communities of faith and non-profits to grow healthy and fresh food. In practice, each urban farm has turned out very different responding to individual needs. At Anacostia’s Bethel Christian Fellowship, we are collaborating with their daycare incorporating educational goals teaching how seeds turn to full grown plants. 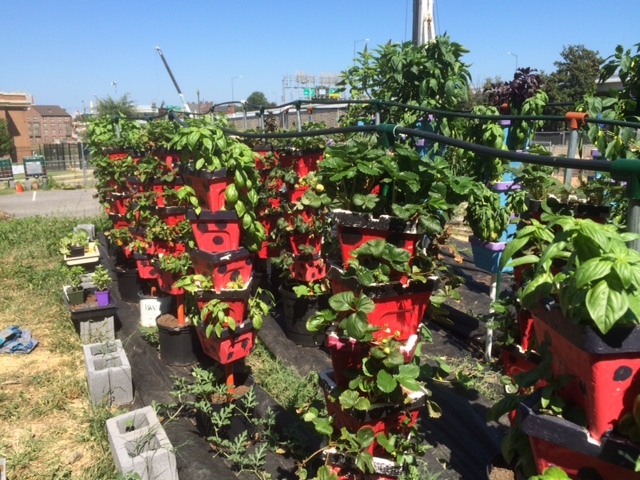 And at National Community Church’s site in Capitol Hill we are partnering with Cultivate the City to establish vertical farms growing fresh strawberries and herbs which are distributed as part of a school based Community Supported Agriculture or CSA. The farm at Union Temple Baptist Church is our largest site with over 80 raised beds and a dozen fruit trees which is a serious time commitment. Turns out the congregation has lots of green thumbs turning tiny sprouts into full grown squash, watermelon and kale. 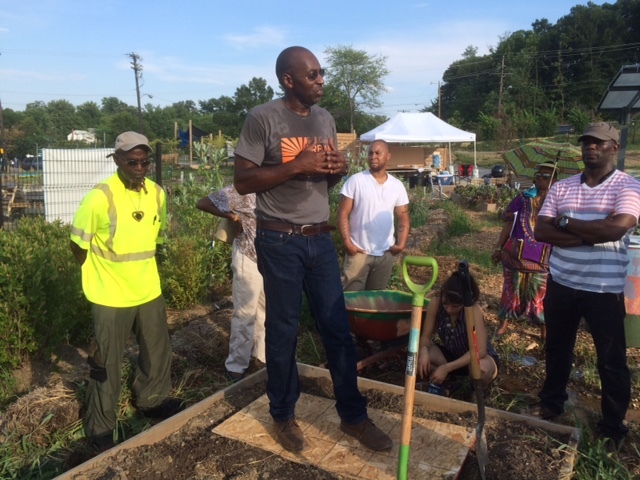 UDC has been offering six weeks of urban agriculture classes for Union Temple members and folks at all of our sites at their East Capitol Farm. Those that take all six classes will receive urban agriculture certificates and up to 15 course credits at the University. Later this month, UDC will begin offering healthy cooking classes at each of our sites. We are partnering with the amazing staff at ArtReach at THEARC to lead community driven art installations with our east of the river sites. At Far Southeast Family Strengthening Collaborative’s Wayne Place garden, ArtReach staff created eight foot tall portraits of residents and the fruit that best describes themselves (pineapple, grape, orange and apple.) At Bethel Christian Fellowship, they worked with the congregation to make glow in the dark mosaic stepping stones and at Union Temple Baptist Church, they will paint a giant mural inspired by congregants’ kente cloth designs. Finally, at the National Community Church site on 8th and Virginia Ave. SE, we are partnering with the Ward 6 based Capitol Hill Arts Workshop (CHAW) to create an installation with church members this fall. It has been such a treat growing food, creating art and making new friends this summer. Stay tuned for more blog posts as we move into a fall crop and looking to expand our Bridge Park Plot sites in 2017!